1. A friend of mines finished quilt. 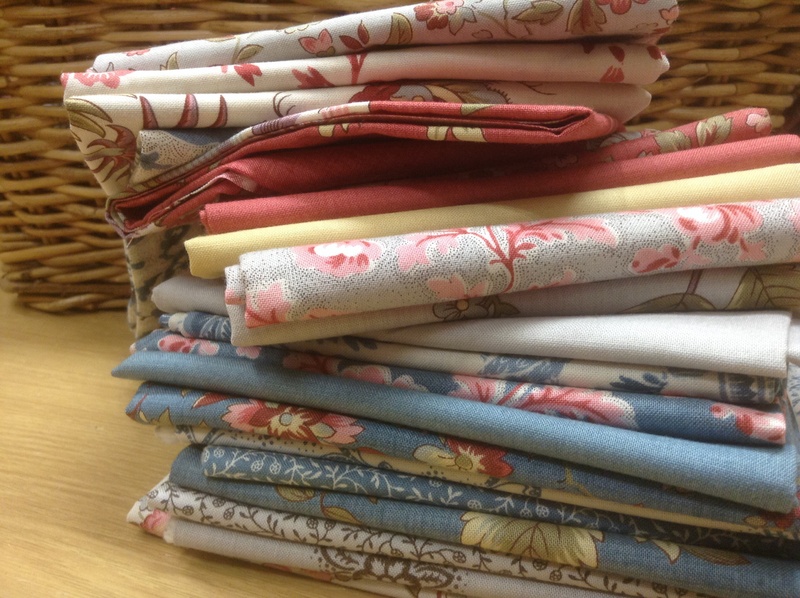 All the fabric have a oriental theme. 2. 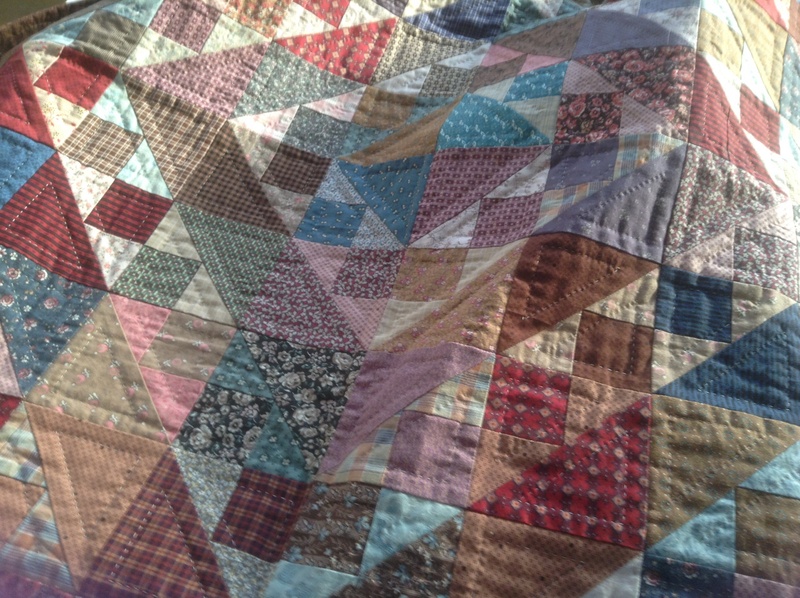 Log cabin quilt at a show and tell, at a quilt meeting this week. 3. Shade four patch blog set as a barn raising. 5. 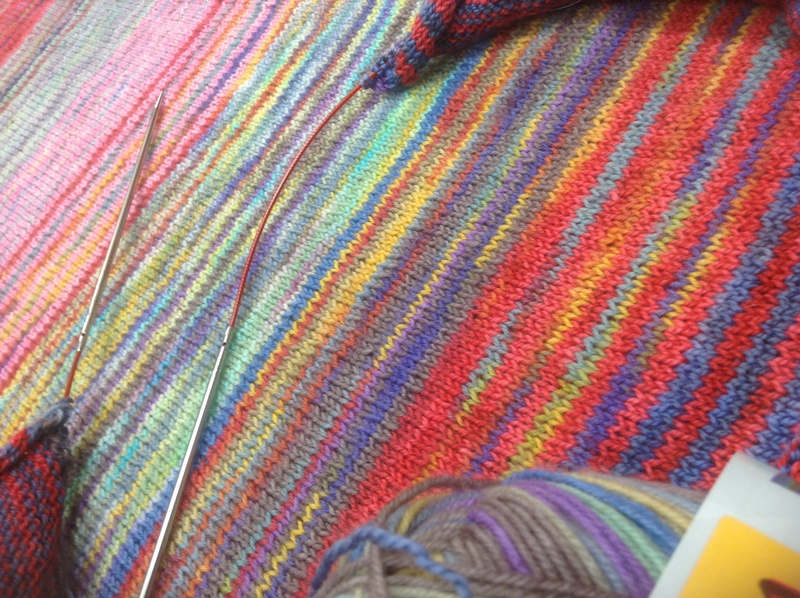 My knitted blanket has grow to 27″/70cm. 6. 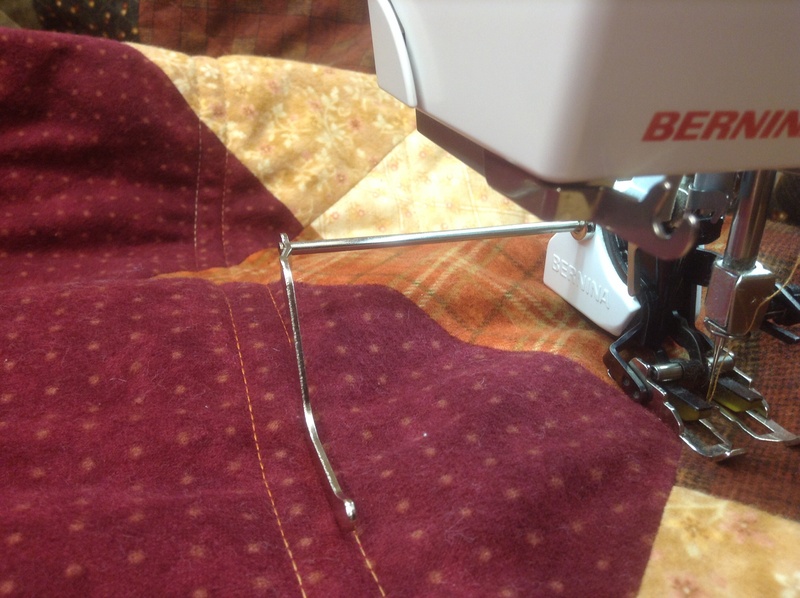 Buzy quilting a flannel quilt for my son. This entry was posted in Craft sewing, Knitting, Quilting, Sewing, Shops and tagged buzy day, knitting, NikkiM, quilting. Bookmark the permalink. It looks like fun. 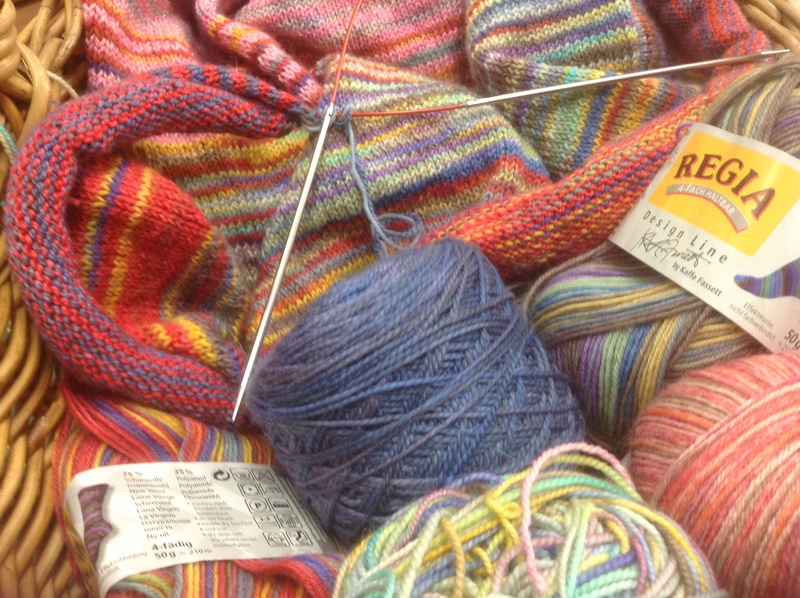 I just can’t get myself to work on any stitching items lately. I guess that is what happens to me in the summer. Everything stands still for the garden. I am hoping to take some inspiration from you and get to it. Neat pictures. I agree it’s just to hot in summer to do handwork! Enjoy the outdoors that summer brings! Your winters are harsh! Don’t worry I have a lot unfinished! It just shows we love what we do! Those are just fantastic! Definitely something to be proud of! I love your work!Oh,am I repeating me…?Who cares,I love your work,your blog and your pics more and more and more and more…. Thanks Tajana! You always so kind! I love all your photo shares! Thanks for being inspiring. 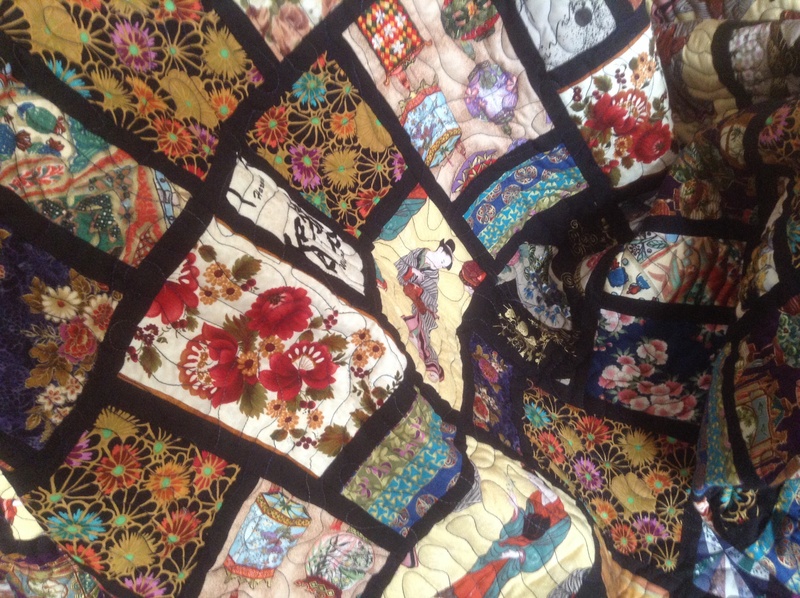 Love Love Love the first quilt with oriental theme and your knitting in rainbow colours! 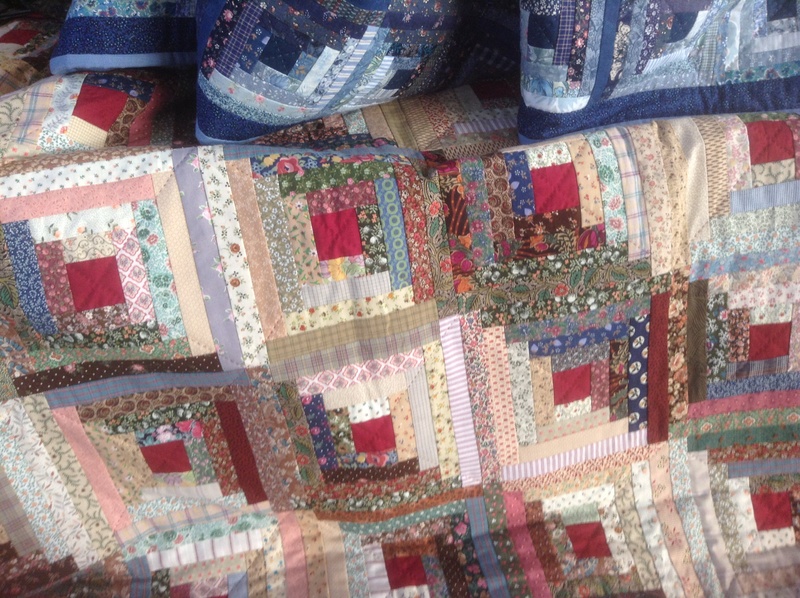 I LOVE the third quilt – beautiful!! It’s beautiful! Thanks for visiting my blog!